Worried that moving your small business to the cloud is going to be too complex? 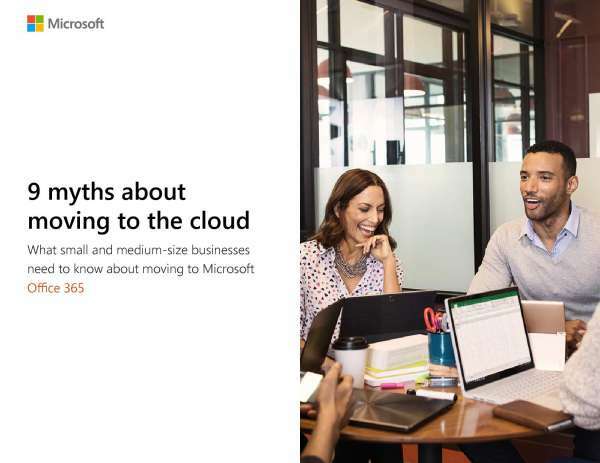 In the e-book, 9 Myths About Moving to the Cloud, you'll discover how Microsoft Office 365 and Azure can help simplify your infrastructure and the way your team collaborates, and more. So, contact R.B.Hall Associates, LLC and let us help you put the right solutions in place to make your journey to the cloud an easy one. If you like the benefits promised by the cloud but still feel hesitant about making the move, read the e-book, 9 Myths About Moving to the Cloud. You'll discover that with Microsoft Office 365 and Azure, all those reasons you're not making the switch aren't reasons at all. Then let R.B.Hall Associates, LLC help you get started on your cloud journey.